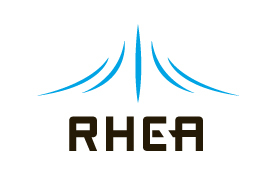 RHEA is a major provider of engineering expertise and solutions to the space, defence and security sectors since 1992 throughout Europe and North America. RHEA supports all phases of space mission lifecycle from payload and spacecraft design and engineering, through testing, verifying and operating the mission, to data management and cyber security. Our technical expertise is coupled with the provision of software tools for both space and ground segments. RHEA provides MOIS, the leading suite of tools for operations preparation and automation, and the Concurrent Design Platform (CDP™), an innovative, multidisciplinary approach to system engineering. Some of our clients include ESA, EUMETSAT, EU, European GNSS Agency, NATO, CNES, DLR, ASI, CSA, Airbus Defence & Space, Thales Alenia Space, OHB, and Intelsat. RHEA established its European research and technology centre in Diegem, in the Flanders region of Belgium, which further enhances its Systems Engineering capacity. From this facility, RHEA develops and delivers innovative solutions, such as semantic web, concurrent engineering, big data analytics, digital/data curation, and temporal data management.